Many Arizona teachers say they don’t feel respected, valued or trusted, and their low salaries are the main factor in the shortage of teachers statewide. Low pay is also why many teachers are leaving the profession altogether, according to a recent statewide survey of teachers released in late 2015 by Tucson Values Teachers. 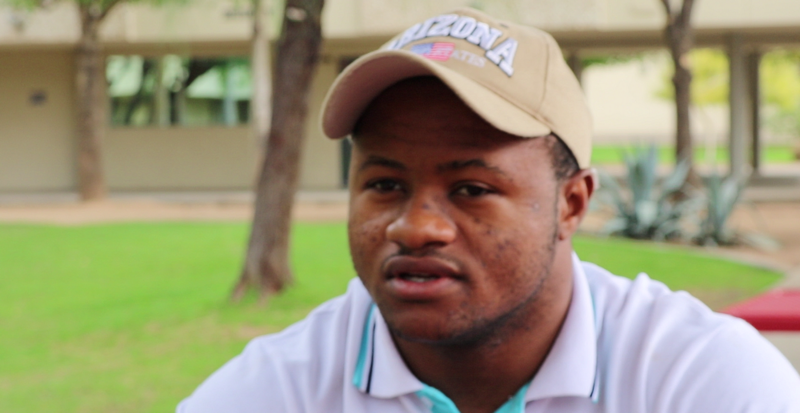 The survey was sponsored by the University of Arizona College of Education and the Southern Arizona Leadership Council. 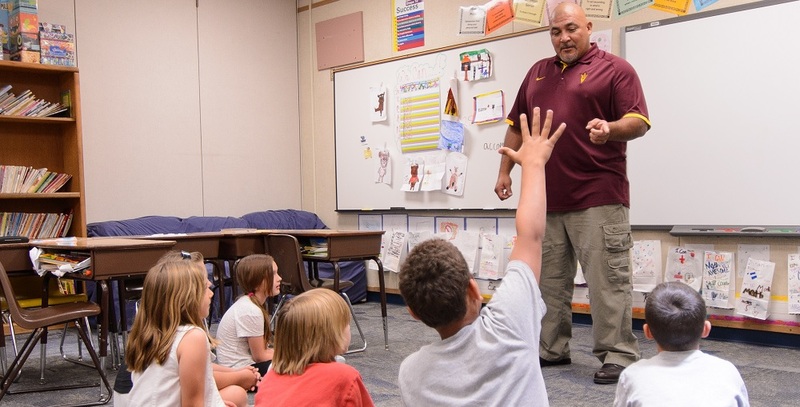 iTeachAZ teacher candidate Ray Urquieta practices a concept he learned in on-site ASU education classes with a group of his third graders at Kyrene de la Paloma Elementary School in Chandler. 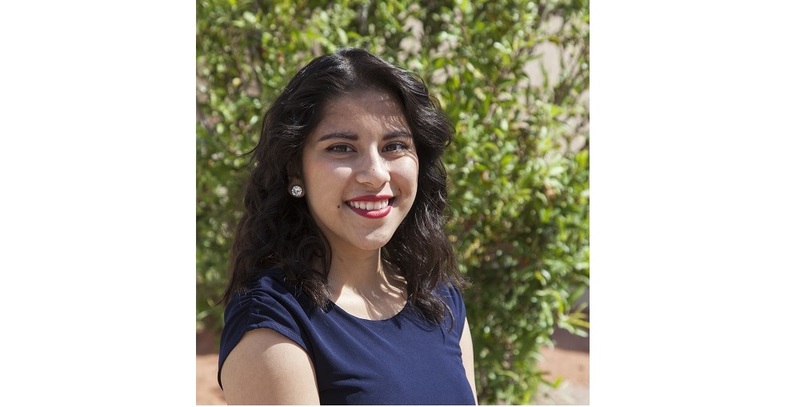 “Working with young people, their families, and the community to support the next generation is something that people want to do, but only five percent of high school students even indicate they are interested in education as a profession on the ACTs,” said Jaime Festa-Daigle, assistant principal at Lake Havasu High School in Mohave County. 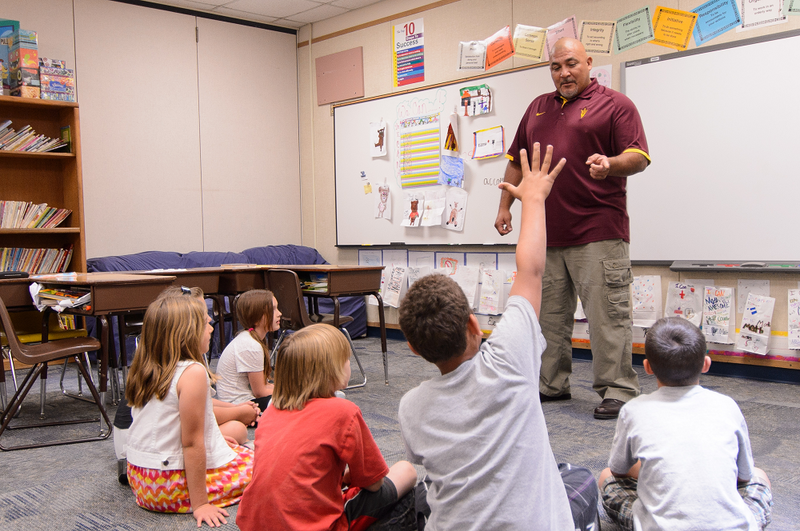 Last year, over 1,000 teaching positions in Arizona were vacant at the start of school, and in the next three years, nearly 23 percent of all Arizona teachers are eligible for retirement, said Dan Streeter, superintendent of Humboldt Unified School District in Prescott Valley. Yet, “the number of candidates graduating from our teacher preparation programs is down seven percent,” Streeter said. In rural districts like Lake Havasu, most teachers are hired from out of state. Graphic courtesy of Tucson Values Teachers. Click on graphic to enlarge. In Humboldt Unified, 10 teaching positions have remained unfilled throughout this school year, and the turnover rate for teachers has been 20 percent for the past three years, consistent with state averages, Streeter said. “The trend the past couple of years has not been teachers leaving for Phoenix, but leaving the state altogether,” Streeter said. Pay is the main reason teachers say they are leaving their position and the profession, said Festa-Daigle, a National Board Certified Arizona Master Teacher and a member of the Educator Retention and Recruitment Task Force. The task force released its second report in late January 2016, which examined economic impact, salaries, experience, quality, professional learning, promising practices and provided key recommendations to policy makers. 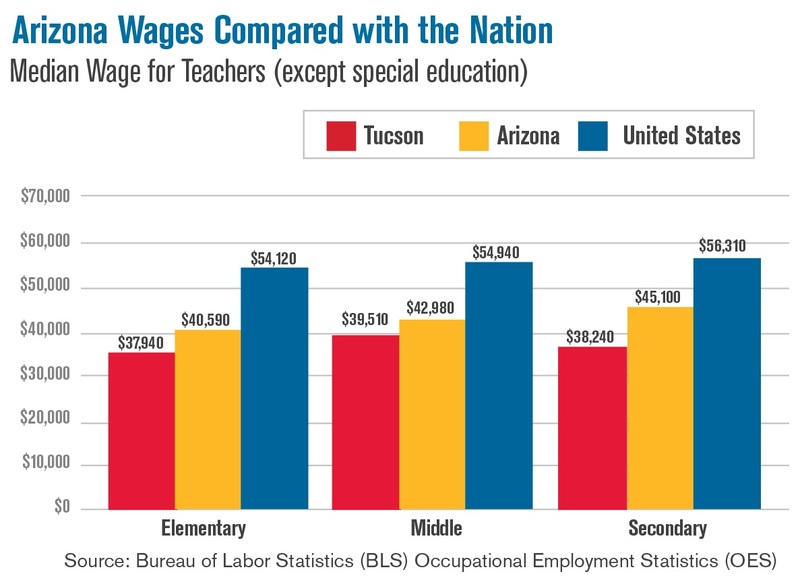 The Arizona Education Association found that “the average beginning teacher salary in the state of Arizona is $31,874,” said Andrew Morrill, president of the Arizona teachers organization, in a CBS5 KPHO story earlier this year. In fact, a teacher’s hourly wage of $18.72 is less than the $19.55 hourly wage in Phoenix required to support two adults and two children as a sole provider, according to the report. 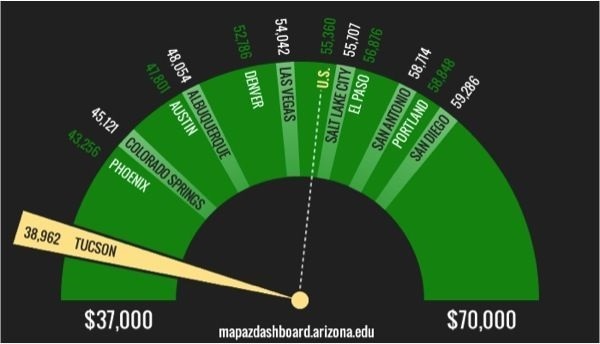 “While the hourly rate of the typical educator in Phoenix is $8.12 an hour above the poverty rate, over a 40-hour work week a teacher, who has earned at least a bachelor’s degree, makes only $328.80 a week more than an individual living in poverty,” according to the task force report. The Educator Retention and Recruitment Task Force report recommends that policy makers acknowledge the value of teachers and increase K-12 funding to make Arizona competitive on teacher pay. Recruiting and retaining teachers has become an issue of supply and demand with 49 other states and even other countries recruiting our finest teachers, Streeter said.